1. You can’t drive impaired. Though the legalization of marijuana is new, impaired driving laws are not. It has always been illegal to drive a motor vehicle while your ability to do so is impaired — whether that’s by alcohol, pot or any other drug, prescription or otherwise. Peel police officers will perform a Standardized Field Sobriety Test on the roadside. Officers specially trained as “drug recognition experts” or DREs will then evaluate the driver’s impairment. If you fail the test, you will be charged. Cannabis slows your reaction time and driving under the influence increases your chances of being in a collision. The penalties for driving impaired are the same whether your abilities are impaired by alcohol, pot or any other substance. 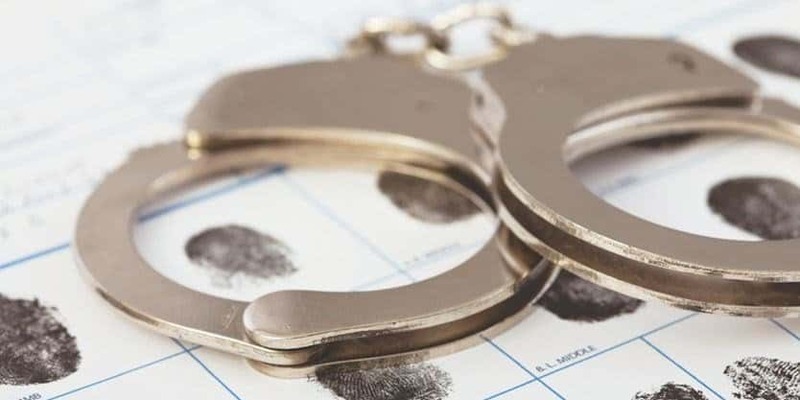 They include an immediate licence suspension, fines and the possibility of vehicle impoundment, a criminal record and jail. Legal limits on how much cannabis you can have in your system before you drive won’t be set until December 2018. Peel police have ordered roadside testing devices for cannabis. Meanwhile, existing impaired driving laws remain, setting a legal limit for alcohol at 50 mg and 80 mg in 100 mL of blood. If you are under 22 years old, have a G1, G2, M1 or M2 licence, if you are driving a vehicle that requires an A-F driver’s licence or a commercial vehicle licence, or if you drive road construction equipment, you cannot drive with any non-prescribed cannabis in your system. None. Regardless of what the legal limits are for all other drivers, which will be set in December (see above). It would be easy to mistake the lobby of the One o One condos in midtown Toronto for a nightclub or graffiti-splashed alley. 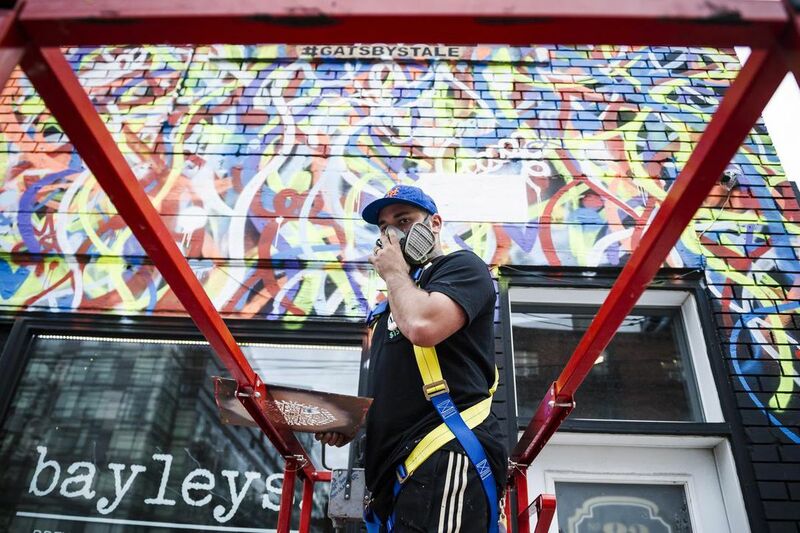 Instead of the muted colours and cookie-cutter designs that fill many condo buildings, developer Camrost Felcorp hired Toronto artist Anthony Ricciardi to create seven murals splattered with bright paint and a rainbow of drip marks. The flashy pieces put the building in a growing group of condo complexes whose hallways, lobbies and outdoor grounds are being emblazoned with massive murals, ornate sculptures or dozens of commissioned art pieces or custom photographs. Among the installations that have cropped up outside Toronto condos in recent years are a set of tall jagged red posts, a blue tangled rubber band-like sculpture and a handful of white whirlpool installations. Real estate veterans say such art is an attempt by developers to bring a community feel to shared spaces, but also a bid to attract buyers. Large installations are popping up at an increasing rate, they say, because many developers are realizing their benefits after the city started encouraging builders to allocate a minimum of one per cent of every project’s construction costs on public art. Ricciardi, a corporate finance worker in the real estate industry who only recently decided to pursue his art full-time, said so far developers have been a boon for business. Heela Omarkhail, senior manager of strategic initiatives at developer the Daniels Corp., agreed, saying her company has been attempting to raise awareness of art in the condo world by collaborating with local artists, especially those early in their careers. Daniels turned to such artists for the two-tower, One Park Place development in Toronto’s downtown Regent Park neighbourhood. In the north tower alone, it commissioned more than 25 pieces of local art, including four sculpture installations, that filled lobbies, hallways, amenity spaces, the party room and even change rooms. In another of the company’s Regent Park buildings, Omarkhail said Daniels hung in the lobby a quilt called Regent Park: A Love Poem — a nod to the fact that it was patched together by locals who wanted to be part of the community’s revitalization. To highlight such pieces, Daniels often keeps the art behind a black sheath for weeks during move-in before unveiling it at an open-house night, where artists mingle with residents. It’s even taken art to the next level by partnering with Artscape, a not-for-profit organization, to put together a musical production starring theatre stars and Regent Park locals. “Their sense of home isn’t the four walls of their unit,” she said. The average person won’t instantly see and know how acclaimed a piece of fine art is just by looking at it, but even having art in a condo building could contribute to how world-class the city it is in is perceived to be, he said. “Some developers take pride in propelling Toronto forward and have realized the role that fine art can play and want to participate in enhancing the urban environment in the most ambitious, sophisticated and impactful way,” he said. The City of Mississauga’s Economic Development Office has been named one of 10 local and regional groups representing Canada’s Best Locations by Site Selection magazine. The rankings are based on project data, regional partnership, proactive and innovative programming, quality data and web tools and resources. To learn more about the top 10 Canadian economic development group rankings and recipients visit Site Selection. 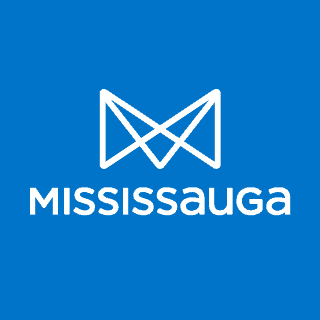 This investment is part of Mississauga’s Economic Development Strategy to expand its economic development agenda, remain competitive, measure success and attract innovative businesses to the city. 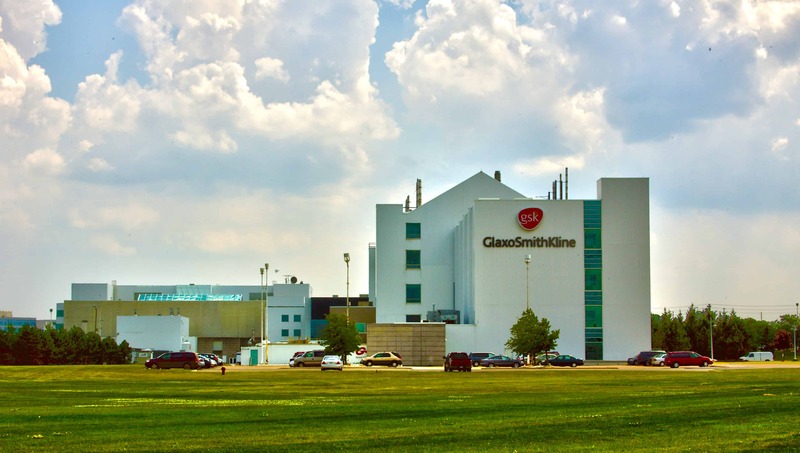 Mississauga’s life sciences sector is the second largest in Canada by number of employees. Today Mississauga’s life sciences cluster is globally recognized as a significant economic driver. I hate moving. I hate it so much that I procrastinate packing for months, until it’s the night before and I’m crying over the dozens of boxes I still have to pack. The last time we moved, I scoured the internet for the best hacks to make the entire process easier for me, and here are my favorites! Adding a bright piece of different colored neon duct tape to each box will help you quickly figure out what room each box belongs in without having to read or open the box. When you get to your new apartment, color code each room by putting post it notes in corresponding colors on each door. This will be a great help to any family or friends who are helping you move, and it makes the entire process a bit quicker. To be honest, I used plastic totes for almost everything during our last move. They’re especially helpful for dishes, heavy books, and any other items you don’t want to fall out the bottom of a cardboard box. It might seem obvious, but your existing luggage, tote bags, etc., can be used to move items to your new place! Rolling luggage is especially useful for heavier items that you don’t want to carry. I remember thinking that this was such a genius hack when I first read it a few years ago, and I was right! Just bunch your clothing on hangers close together, and lift a garbage bag over them. When you get to the new apartment, simply hang the clothes back up and pull the garbage bag off. This was a life-saver for us! Pack a box full of items you may need during your first night at the new place. This includes a flashlight, take-out menus, cleaning supplies, pet food, plastic plates and utensils, an extension cord, tools, bottled water and anything else you may need during that chaotic first day. This isn’t so much of a Pinterest hack as it is a “my grandmother taught me this” hack. I don’t think I’ve ever received anything breakable from my grandmother that wasn’t wrapped in a towel or two. You could use towels, dishcloths, clothes or blankets as extra padding in boxes with breakables. Large Ziploc bags are perfect for keeping smaller items like silverware, cosmetics, or jewelry organized and together. Nothing is worse than getting somewhere, opening a bag and seeing that your shampoo spilled all over everything. After a long day of moving, that would be enough to make anyone want to toss the entire box. To prevent this, tape the top of any items that could be a spill risk, or transport them in separate Ziploc bags. I can not count the amount of times we’ve moved and I couldn’t find the right power cable for something. Somehow, I usually end up with a random bag of cords that eventually get sorted out later. Actually, now that I think of it, I think I still have a huge bag full of cables in my basement from our last move. Prevent this by using a bit of electrical tape to tape down the cable to the proper electronic. Just don’t forget to remove any tape before using it. How many of you have your passport or birth certificate in a random drawer currently? Or a jewelry box full of priceless pieces of jewelry? Make a list of all items that you absolutely could not stand to lose, and pack all of those items in one plastic tote. Keep this tote in the truck of your car, or another safe place until everything else has been moved in. What type of floor to pick? In your own condo, every part counts. From the floor to the ceiling, you want to have everything right. One of the most visible improvements you can make is to redo your floors – nothing upgrades your place faster than changing the dingy, cheap-looking wall-to-wall carpeting that came with your condo to nice new floor. Let’s look at some of the common flooring options and evaluate the pros and cons of each type. Hardwood is milled from a single layer of timber, which is what makes it stand out from other types of wood floors. The most popular types of wood flooring include oak, hickory, maple and walnut. Hardwood floors are extremely durable and very easy to clean. In addition, they can be sanded and refinished several times to have a sleek and updated look. They can give your home a luxurious and earthy feeling and they can be a powerful selling point if you ever want to move. The negative aspects of hardwood floors are that they are very costly and require a lot of time and effort to install. They are not DIY-friendly because this flooring can expand or shrink during the warmer and colder seasons, so correct installation is a must. Cork is derived from the barks of cork oak. It adds an earthy feeling to the floor and has earned some comparison with wooden flooring. Its eco-friendliness has given it an edge over non-natural materials. This type of flooring might be ideal for you since it’s resistant to both moisture and wear. Also, it’s easy to keep in good condition and cleaning it requires little effort. On the minus side this type of flooring is somewhat expensive and if it’s not finished right it can absorb water. Well, if you have not already heard of this material it is because it is relatively new. Floating wood tiles are made of a synthetic material that replicates the look of natural floor materials, such as stone and wood. The tiles are laminated for durability. This flooring is very DIY-friendly; easy to install and uses a lock-in technology that doesn’t require any adhesive. In addition, if the floor gets damaged, floating wood tiles can easily be replaced. It is also a cheaper material that still offers a natural feel. The big negative of this type of flooring is that it can be very slippery when wet. Also, it cannot be refinished like real hardwood or stone. Bamboo is another durable and eco-friendly option. It’s also very easy to clean and maintain. The most visible problem with bamboo flooring is that the color often fades over time due to sunlight. It’s also very susceptible to water damage and the adhesive used for this flooring can release harmful compounds. Engineered wood is referred to as composite wood and can be confused with hardwood. However, engineered wood is different in that it only has a thin veneer of hardwood on top of several layers of wood. Engineered wood flooring typically comes pre-laminated. The benefits of this type of flooring are that it can be installed quickly and easily. Also, it is more resistant to moisture than hardwood flooring. Engineered wood flooring can be used over several different types of flooring, such as concrete and padding. The problem with this type of flooring is that there are very limited options for refinishing and it’s not as durable as natural hardwood. Also, the edges can allow some water to come in. Natural rocks can be precisely cut and used as flooring materials. Some of the common types of stones used are slate, granite, and limestone. The positives of natural stones are that they add a timeless natural feeling to your home. Also, this type of flooring improves with age. Out of all the flooring options, this type of flooring is the most durable option. The big negative stone flooring is that it’s very hard on your feet if it is in an area where you have to stand a lot. It also requires careful maintenance and can be very pricey. Also, when wet, stone flooring can be very slippery and danger for falls. This type of flooring has been a very popular choice among people for centuries. Porcelain and ceramic tiles come in dizzying array of styles and patterns. The positives of having porcelain and ceramic tiles is that the damaged areas can quickly be fixed. Also, it’s easy to clean. This flooring is very durable and can withstand a lot of weight. On the minus side, this option is not ideal for a living room. Any type of glass object will break if it’s dropped on porcelain or ceramic tiles. Vinyl is the least pricey flooring material available for your home. For those with a small budget for house décor, this is the best way to go. The positive aspects of vinyl are that it’s quite inexpensive and very DIY-friendly to install. Also, it’s easy to clean and very water resistant. In addition, the chemicals and the process used to make vinyl release less harmful chemicals than some other DIY flooring options. Wall-to-wall carpeting is another flooring material that offers a a wide range of colors, styles, and patterns to choose from. Carpeting can be made from both synthetic and natural materials. Carpeting provides a good noise dampener, so many highrise condos come with carpeting and the condo association may even require that certain portion of floors are carpeted. Carpeting also keeps your home warmer and cozier during the winter. Installation of wall-to-wall carpeting is not a DIY project, but requires professional installation. Other negatives of carpeting are that they can wear out quickly when placed in high traffic areas and they stain easily. The maintenance requires frequent vacuuming, occasional cleaning with special shampooing equipment or hiring of an expensive carpet cleaning service. Well, if you have been wondering what kind of flooring to use for your home, you now have a better idea of your options. With the positives and negatives of each type of flooring, your decision will be easy. Just make sure that when you compare the cost of different flooring materials, you also include the cost of labor that goes into the installation. I’m seriously thinking about buying a house that has a tenant, but I don’t want to become a landlord. What are my options? Any time you buy or sell a property that houses tenants, it’s important to remember: a) tenants have rights, and b) the Ontario Landlord and Tenant Board takes those rights very seriously. I recommend speaking to a lawyer who understands landlord and tenant issues, and working closely with a real estate salesperson who has handled similar transactions. Be sure to ask specific questions about their experience when you interview potential candidates. 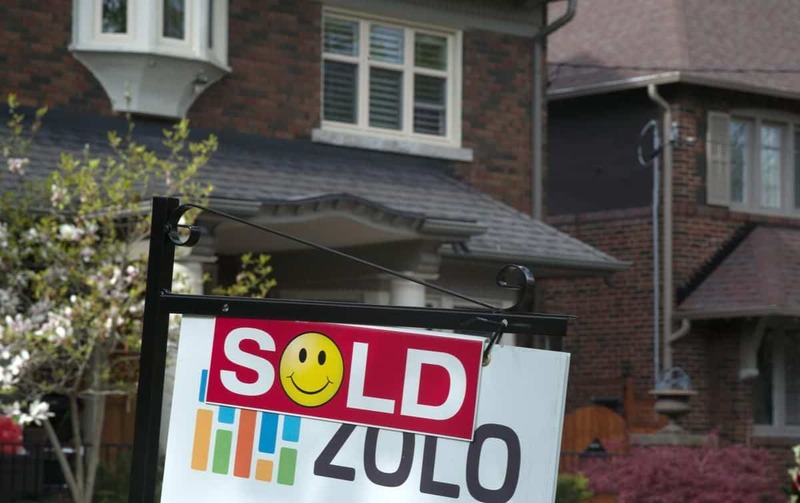 The Real Estate Council of Ontario regulates the conduct of real estate salespeople, brokers and brokerages. We don’t adjudicate landlord and tenant cases, but we expect anyone who is registered with us to be aware of all relevant laws — including the fundamentals of the Residential Tenancies Act. A landlord has the right to put their property up for sale at any time, and a tenant can’t prevent potential buyers from viewing their home. But there are some defined rules on the subject. For example, a tenant must receive at least 24 hours of advance written notice before a showing, and it can only occur between 8 a.m. and 8 p.m. You’re not allowed to photograph the property while it is occupied by a tenant unless they provide their express consent. You mentioned that you don’t want to become a landlord. If you decide to purchase the house, it’s a good idea to obtain a copy of the tenant’s lease so you know how long they have been living in the building, and the terms of the agreement. You can’t evict the tenant until and unless their lease has expired. If the tenant is paying month-to-month — meaning the lease has expired — you must give them adequate notice to vacate the property. As the owner, you are allowed to evict the tenant if you plan on living in their unit, or allowing a family member to use it. But you or the family member must intend to live there, and you’ll have to provide compensation and sufficient notice. It’s illegal for a homebuyer to evict a tenant under a false claim of the “Landlord’s Own Use” rule. If you evict your tenant and they find out you weren’t truthful, the tenant could sue you for moving costs and the higher rent paid at their new home. Moreover, the Ontario Rental Housing Enforcement Unit may investigate the matter and press charges. Check out the Landlord and Tenant Board website if you wish to learn more about a landlord’s rights and responsibilities. 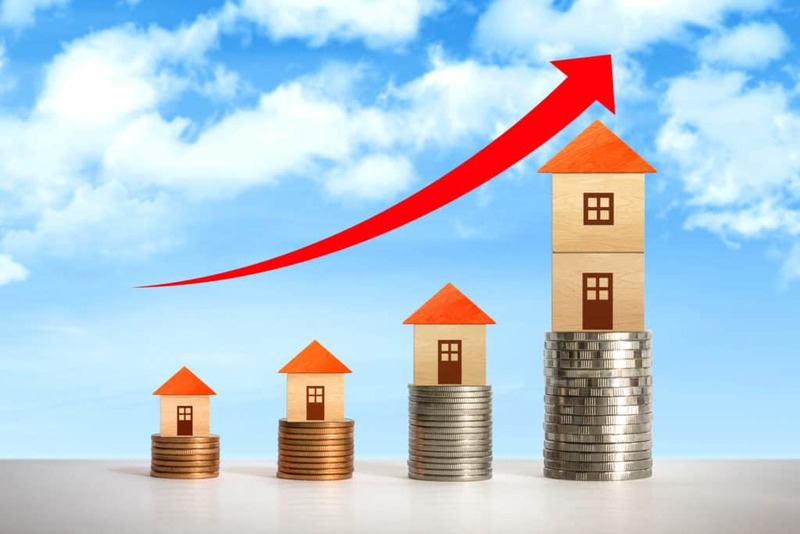 To hear the real estate portals tell it, you should track your home’s value on a weekly basis, and sign up for all their email reports so you know the local market inside-and-out. You can do it via Zillow, Redfin or Trulia. If that sounds like a lot of busy work, that’s because it is. You’re tracking a theoretical value based on other comparable sales, without having any offers in hand or even the desire to sell your place. A thought experiment: if you knew your home’s value went up $10,000 over the past month, as computed by an algorithm, would you sell? What if the estimated value of your home dropped by $4,000? Would that have any impact on your day-to-day life? The answer in both cases is probably no. That’s not to say that having a rough estimate of your home’s value isn’t important. In some instances, it can be. But in most cases, checking your home’s value quarterly is plenty, and checking every year is usually totally fine. You actually are considering selling. Yes, then looking at the Zestimate makes sense. But you’ll also want to consult with several real estate agents, to get their opinion on what your condo could sell for, as well as look at comparable recent sales within your building. You’re considering taking out a home equity loan. You’re borrowing money based on how much of your condo you own. If the condo has gone up in value, you can borrow a larger amount. That’s worth knowing. An online estimate can be a good start, but you’ll need a formal appraisal to appease the bank. Your property tax bill. The amount of your property taxes is based on the value of your home. While an online estimator likely has no standing with your local tax jurisdiction, it can tell you whether the assessor has properly valued your place. If not, you might use that information to do more research and ultimately file an appeal. You have private mortgage insurance (PMI). If you put down less than 20 percent on your place, your bank usually requires you to carry PMI. That’s costing you extra money each month and in most cases you can stop paying it as soon as you have 20 percent equity in your home. If your home’s value shot up, you might have that right now. Knowing that means you can contact your bank, get a new appraisal and stop paying extra earlier than expected. The market is changing substantially. You probably don’t need a valuation to tell you what’s up, but it can provide valuable confirmation about your neighborhood. Is it gentrifying? Or are values dropping, as you see more foreclosures? Knowing that can affect your long-term life plans. You’re worried you might be underwater. Being underwater means you owe more on your home than it’s worth. That means you’d have to pay money to sell your place – getting an algorithm’s thoughts can tell you if you’re in danger of this. Usually this is only a problem during a major housing crash. You want to tote up your net worth. Financial experts say it’s a good idea to assess your savings, debt, spending and assets about once a year. It’s a good way to review your financial goals and habits. Knowing how much your home is worth is part of that. Relax and focus on long view! There’s almost no situation where checking your home’s value every week – or even every month – will serve you well. Doing so might be fun and a little addictive, but like much online, it could also make you a bit neurotic or obsessive about it. The situations where you really need an estimate – like when you’re ready to sell, or you want to tap your equity – you’ll also need a more formal estimate, done by an appraiser or a real estate agent. So, check your home’s value every once in a while, just to keep tabs on it, but there’s really no reason to make it a habit.